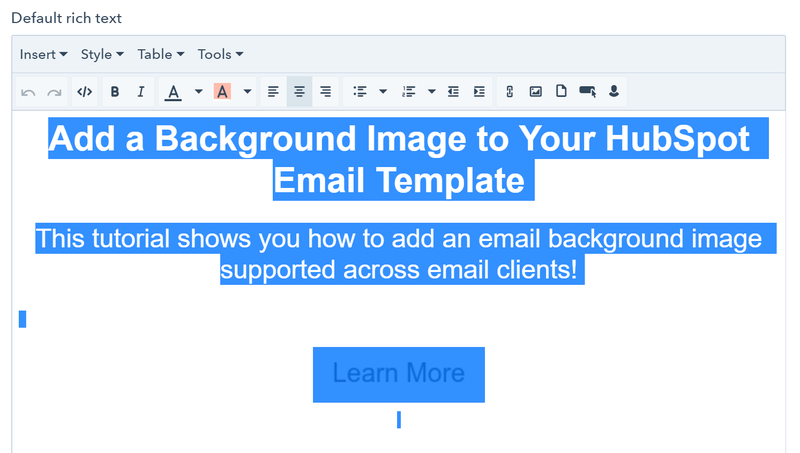 Over the years a common request I get from HubSpot clients is to create an email template with a background image. In theory, background images are not supported on many email clients (I'd recommend referencing this page for email CSS support when designing your template.) However, I have found a useful workaround for doing so which has passed the litmus tests. Check it out! 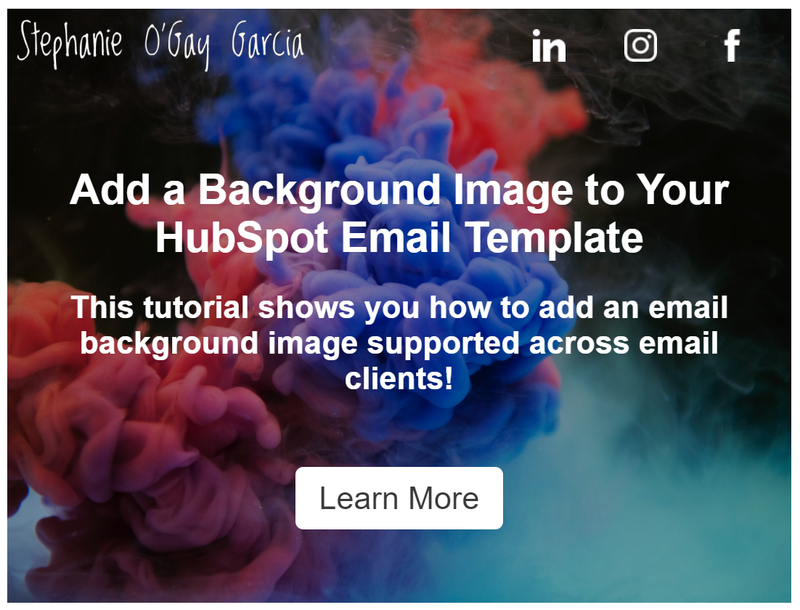 Read on for details on how to add a background image to your HubSpot email template. 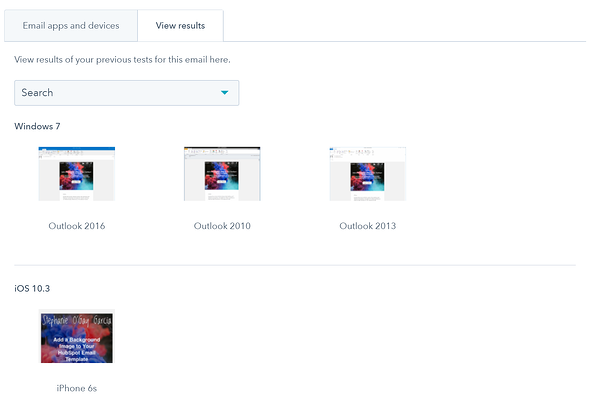 The code I use is based off of Campaign Monitor's Bulletproof Background Images which I've found to be pretty bulletproof indeed (although I have done some tweaking for Outlook). 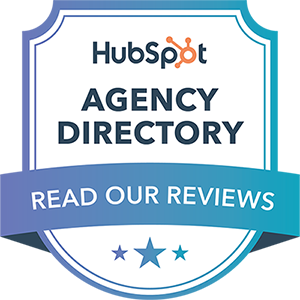 To use this in HubSpot, we're going to create a custom module for email templates. Select "Email Templates" under "Where would you like to use this module?" 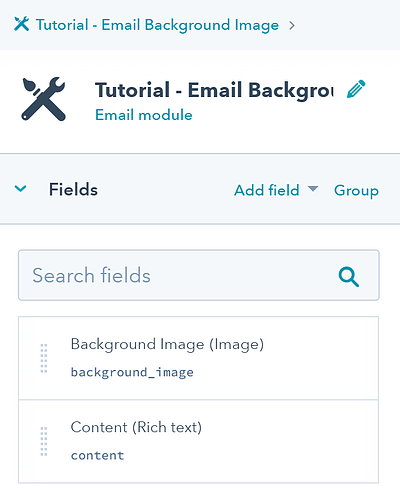 Name your module and click on "Create"
Add an Image field and name it "Background Image"
Add a Rich Text field and name it "Content"
The code on this link includes a logo on the upper left hand corner, three social icons and space for header content. Copy and paste it into the code section of your custom module. There are several parts of the module that we can customise now to make it look nice. 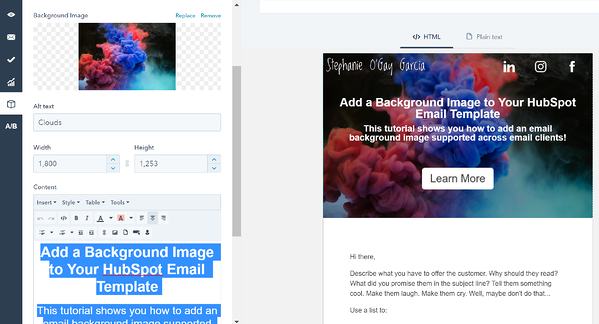 Let's add a default background image to the "Background Image" field by hovering over the "Background Image" field on the right and clicking on "Edit". Under "Default Image" you should have the option to select an image. Users will later be able to update this image on each individual module. Similarly, hover over the "Content" field on the right hand side (if you're still in the Background Image section, you can click on the tools icon on the top breadcrumb menu to go back), click on "Edit". Click on the Default Rich Text field and enter some content. It will look best if you set the text to white (after writing it) and center-align it (I've highlighted it below so you can see the white text). I've highlighted the sections above you will want to update. The "#" in the "href" should be replaced with the link for the page you would like to link to and the "#" in the "src" should be replaced with the link to the icon you would like to use in each case (you can upload your icons to the File Manager and get the link from there). If, for any reason at all, our background image doesn't load, we will want to make sure that the colour that appears in it's place is in line with our brand. Currently I have this set to this shade of red ( #F73E4B ) but you can replace that with your own colour. 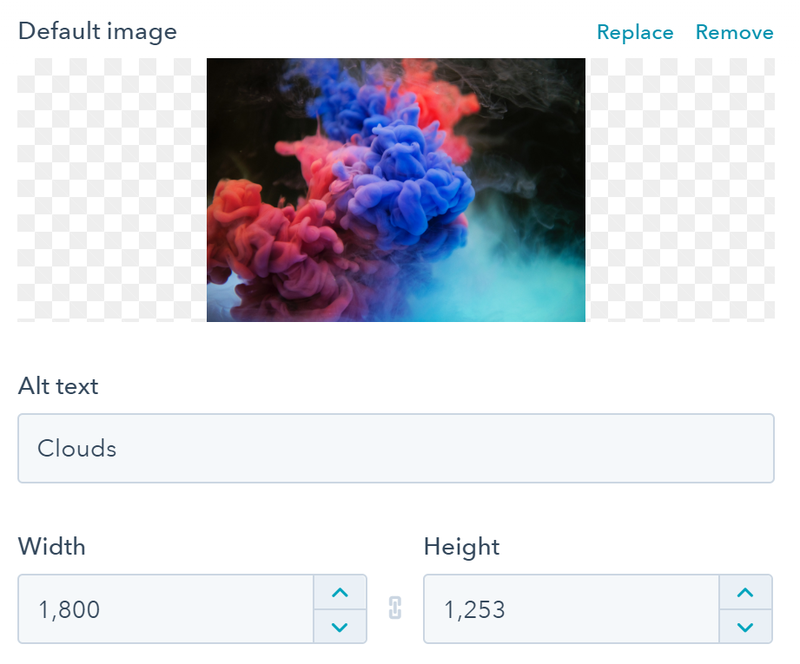 You'll can find and replace this on the template by holding Ctrl + F, inserting #F73E4B into the search bar, clicking on the first icon to toggle "replace" and using the "Replace All" option. If you want to get further stuck into the code, you can update other aspects of the code (some basic HTML knowledge is needed). Update the module height: in order to display it correctly in Outlook, I was forced to add some fixed heights to the code (lines 19, 21, 26, 36-39) which can be adjusted accordingly. Update the logo width: I updated my logo width by changing the "width" on line 28 of the code. However, if you do run into any issues, feel free to reach out!